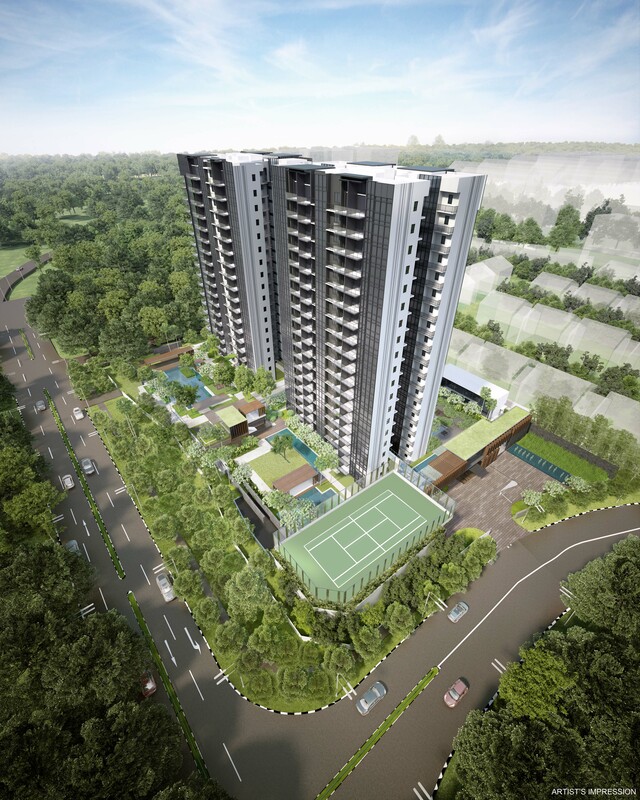 Thomson Impressions condominium at Lorong Puntong,is a new launch residential development by Nanshan Group Singapore. The residential site near Upper Thomson Road attracted 18 bids from developers, highest number of bids since the introduction of the Total Debt Servicing Ratio (TDSR). 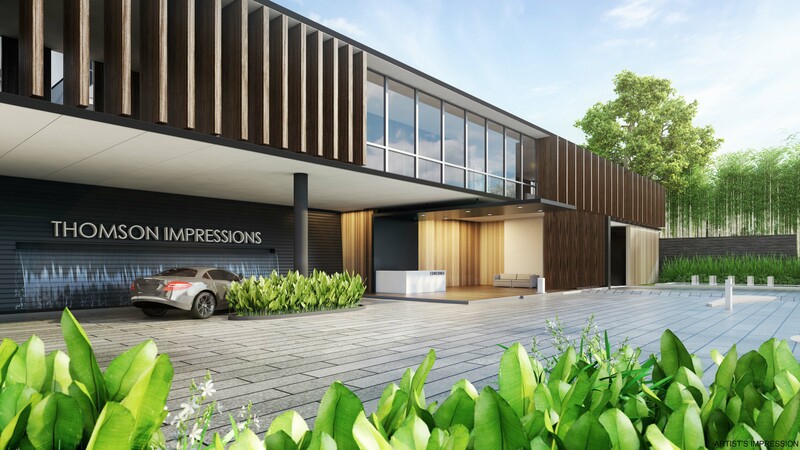 Despite the sluggish property market, the strong competition from the developers shows the demand for land bank in the area.With limited upcoming supply of private residential-zoned land for sale in the Sin Ming, Bright Hill and Bishan area and successful sale of nearby development, Thomson Three, Thomson Impressions is expected to be yet another sell out project. Thomson Impressions is made up of 2 blocks of 19-storey residential building and 5 starta landed with a total of 288 residential units. There will be healthy unit mix of 1 bedroom units to 4 bedroom penthouses to satisfy various demand. The condominium will be equip with full condominium facilities including a 50 meters lap pool, function room and indoor gym. All units are efficiently designed with functional layout, complete with quality furnishings and electrical appliances. The 113,051 sq ft site is situated between two MRT stations currently under construction: Bright Hill and Upper Thomson MRT Stations. 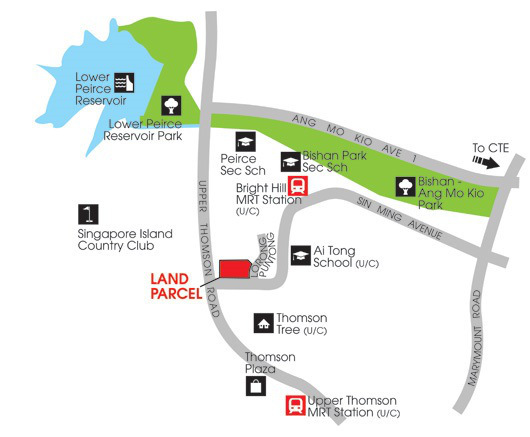 Thomson Impressions is also located in close proximity to reputable Ai Tong School. Future residents can enjoy shopping and dining options at nearby Thomson Plaza and shophouses along the stretch of Upper Thomson Road. Recreational destinations like Lower Pierce Reservoir and Singapore Island Country Club are all within a stone’s throw away. The Thomson-East Coast Line (TEL) is a joint line between the Thomson Line and the Eastern Region Line. The 43km TEL will add 31 new stations to the existing rail network, with 7 interchange stations, which will link to the East-West Line, North-South Line, North-East Line, Circle Line and the Downtown Line. Commuters can start enjoying the TEL in stages from 2019. Thomson Plaza is a suburban shopping centre under MCST, located in the heart of private & public residential estates at Upper Thomson Road. With 3 shopping levels and a basement carpark, Thomson Plaza has a GFA of approximately 467,298 square feet and NLA of approximately 239,316 square feet. Currently, it has 154 tenants and has achieved 100% occupancy rate. Many popular brands can be found in Thomson Plaza, such as FairPrice Finest, Yamaha Music School, Amore Fitness & Boutique Spa, Popular Book Store, Sushi Tei, Swensen’s, Paradise Inn, KFC, Pizza Hut, Starbucks, Kopitiam and many more. The carpark has a total of 413 lots and 3 handicapped parking lots. Free valet parking is available during lunchtime on weekdays and all day on weekends and public holidays.